When the police arrived, a worker had already grabbed the gator, taped its mouth shut and put it in the back of his pickup truck, NWF Daily News reported. Crews found an unwelcome visitor conducting a surprise inspection of their equipment at a construction site in Florida. 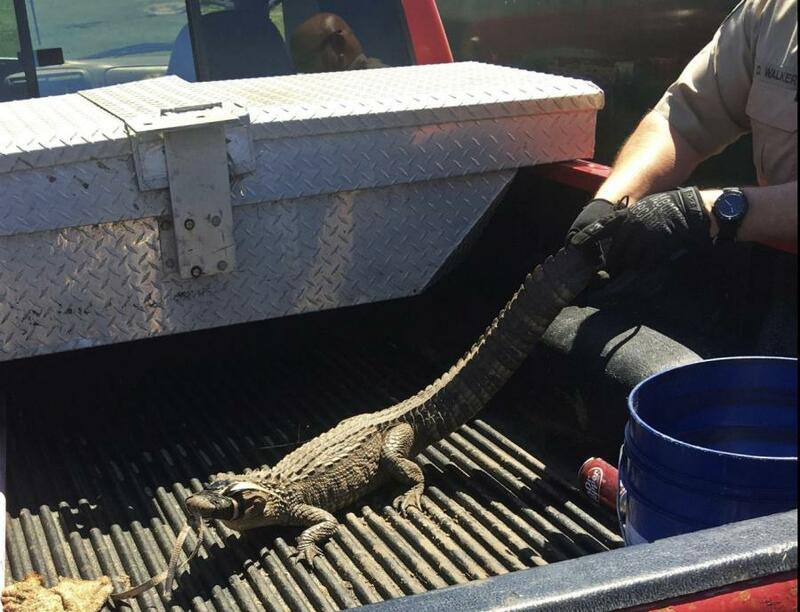 The Florida State University Police were called when workers discovered a three-foot-long alligator beneath their equipment on site at the University's athletics building parking lot in Panama City. When the police arrived, a worker had already grabbed the gator, taped its mouth shut and put it in the back of his pickup truck, NWF Daily News reported. After checking with the Florida Fish and Wildlife Commission, Officer Freddy Kinard told the workers that he could take the gator and drop it off in a local river—but he also issued a warning, as possessing an alligator is, in fact, a federal crime, NWF Daily News reported. Also, despite its smaller size, the alligator in question could have been a lot to contend with. According to Kinard, the gators typically swim up from the nearby bay and into the canals. They use the drainage system to move from retention pond to retention pond. What's more, Kinard believes there is likely a substantial number of gators living beneath FSU's Panama City location in the drainage pipes, NWF Daily News reported. “I think they live under the college here. We have some big drainage pipes,” said Kinard.